Remove the 2 nuts and stabilizer link. Remove the 4 bolts and member brace from the corssmember. Remove the stabilizer bar from the crossmember. 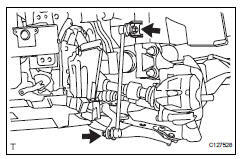 Remove the bush from the stabilizer bar. 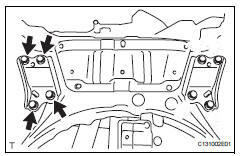 As shown in the illustration, move the ball joint stud back and forth 5 times before installing the nut. Using a torque wrench, turn the nut continuously at a rate of 3 to 5 seconds per turn and take the torque reading on the fifth turn. 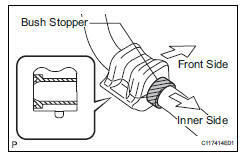 Check for any cracks and grease leaks on the ball joint dust cover. Install each bush to the inner side of each bush stopper on the stabilizer bar. Install each bush with its slit facing the vehicle rear side. Install the stabilizer bar to the crossmember. 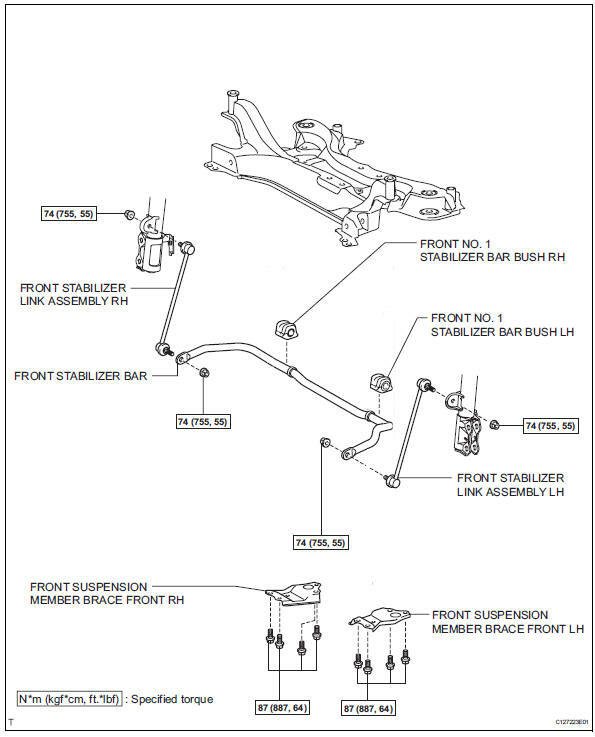 Install the member brace with the 4 bolt to the suspension member. Install the link with the 2 nut.